We have a confession to make to you. ABC’s The Bachelor may be on TV in our home on any given Monday night. Sometimes Jessica throws viewing parties with her friends, but I can’t put that 100% on her. I wish I could say I enjoy “hate watching” it – I do – but sometimes I just enjoy real watching it. I cannot confirm or deny, but there may have been a time or two where I have caught up on Hulu when I’m out of town during a watch party. OK, I feel so much better now that that’s out in the open. On tonight’s episode for the Hometown dates, Colton visits Hannah G’s hometown here in Birmingham, and they take a cooking class at The Donnelly House. The Donnelly House is a beautiful wedding venue in the Highlands area of downtown Birmingham. I’m so excited to see how it looks on TV (ahem, if I end up watching it, I mean). 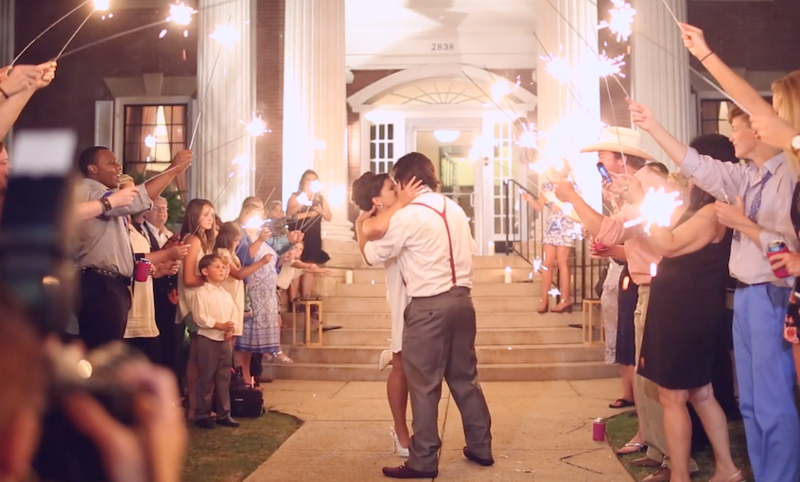 A few years ago, we had the honor to film McKayla & AJ’s wedding there so we too have filmed at one of the best venues in Birmingham. Check out McKayla & AJ’s wedding video below. While we have no idea what the future holds for Colton and Hannah G., one thing we do know is: You’re getting married soon and we’d love to film your wedding!